Field service personnel are especially at risk when it comes to Lockout/Tagout (LOTO) danger. Make sure you are ready! 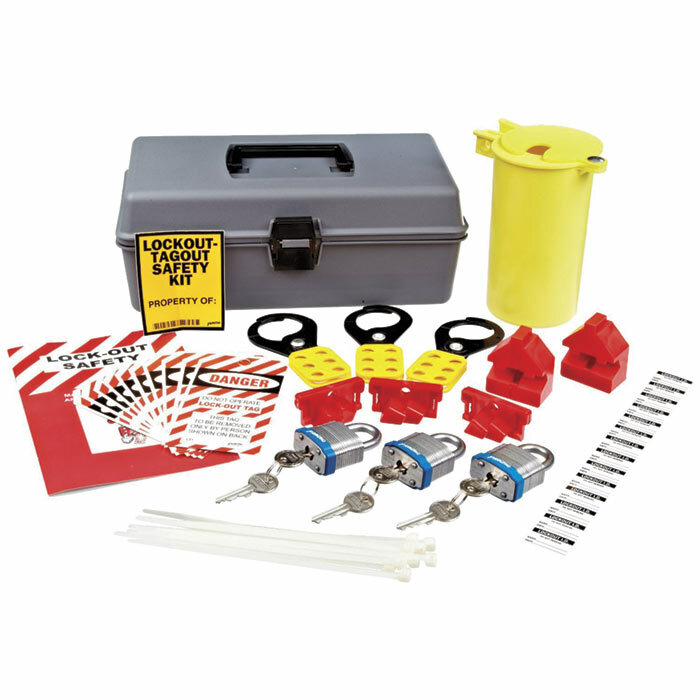 Avoid accidental machinery power-on and possibly serious injury with our fully equipped Lockout/Tagout (LOTO) Safety Kit. This complete and affordable kit contains all the essential lockout/tagout gear you need to lockout power and safely perform equipment service. NOTE: ALWAYS use proper Lockout/Tagout methods and procedures! If you can't find the exact tool kit to fit your needs then by all means build your own at Custom Tool Kits.